Editor’s note: This post was written by Aby League, a qualitative researcher and a passionate writer. She is an innovator and technology enthusiast. She has been writing about health, psychology, home improvement and technology. You can see more of her articles on Elite Daily. To know her more, follow @abyleague on Twitter. Today, blogs and social media platforms are doing wonders for the business community. They allow businesses to promote their brands across large audiences, as well as help them build brand identity and trust among customers. However, for this approach to be successful, business owners and/or freelance writers like you must learn to use these two tools in a way that they’ll effectively complement each other. Social media holds great potential in driving readers to your blog. 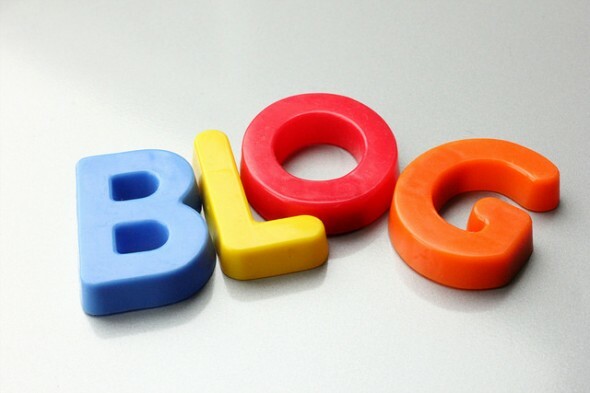 Consequently, a blog can support your social media account by leveraging credibility and substance. However, you must be careful to strike a balance between the two. If you’re just starting to build your business’s web presence, you must first learn the basics of blogging and social media: what they do, what they’re used for, and how they can help move your business forward. See, blogging and social media work differently. 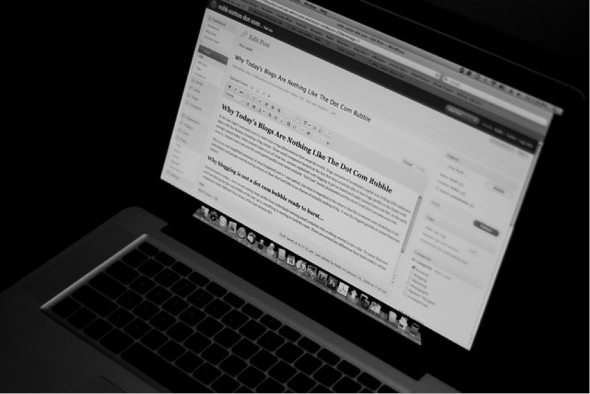 A blog is ideally used to share a business’s expertise and knowledge on industry-relevant matters. It provides a conversational approach in discussing various topics that do not just promote the your brand, but also genuinely provide interesting information that readers will truly benefit from. On the other hand, social media platforms allow you to reach a larger community—since everyone these days are either logged in on Facebook, scrolling through Twitter and Instagram, or looking for creative ideas on Pinterest. Use social media to grow your blog’s traffic. A blog entry will not be able to promote itself unless it is shared across multiple social media platforms. However, building blog audience through social media can be quite tricky. Keep in mind that the key to grabbing attention on social media is to create short but interesting content. When sharing a certain blog entry on social media, put effort in making fun and creative captions or visuals that would entice social media users to click the link to your blog. How a social snippet looks on social media is almost as important as what it says. Make your blog entries “shareable” across all social media platforms. It’s one thing to share your own content on social media, but it’s another to be able to make it easy for readers to share your content on their social media accounts. It’s the online equivalent of advertising through word of mouth. Include share buttons on your blog so that readers can easily share or recommend your brand through your interesting blog post. Also, make sure that your buttons are up-to-date, as social media icons tend to change really fast. Take advantage of Analytics. If you’re not familiar with Google Analytics, you are probably missing out. This tool allows you to monitor the activity on your website or blog by counting how many people are actually clicking your outbound social media links. If the numbers are low, you can re-examine if your social media buttons are in a strategic position on the page, or if you’re writing about the wrong things on your blog. Either way, let the numbers help you improve what needs to be improved. You can also use Avinash Kaushik’s social media metrics as a guide to gauge your social media performance. Write about things that matter to your readers. You can share your blog posts on social media all you want—you can even put social media buttons all over your page, but readers won’t share your content if it gives them nothing worth sharing. As such, write about topics that are socially relevant. Blogging must be creative and informative, and not aggressive, hard sell writing. Remember that you want to educate and empower your readers so that they keep coming back for more. Showcase your social media content on your blog. While blogs do allow more depth than social media channels, social media can still showcase unique content that doesn’t need a blog entry of its own. If people engage with such posts on social media, consider featuring these posts on your blog. For instance, if your Tweets get a lot of Retweets and replies, it would be a great idea to integrate your Twitter feed directly on your site.